Hello again! Several weeks ago, we were lucky enough to have an Interior Designer, Kelly DuByne speak to our class. She talked about the importance of color, jobs within interior design and the effects a room has on your emotions. Kelly sent out a newsletter recapping her visit with our class and it was so nice we wanted to share it with you! “It’s so easy to get wrapped up in the day to day aspects of design with constant care on client projects, site visits, pulling products and client presentations. As much as I love each of these areas of my business, it is nice to step away every once in a while and find a way to give back. 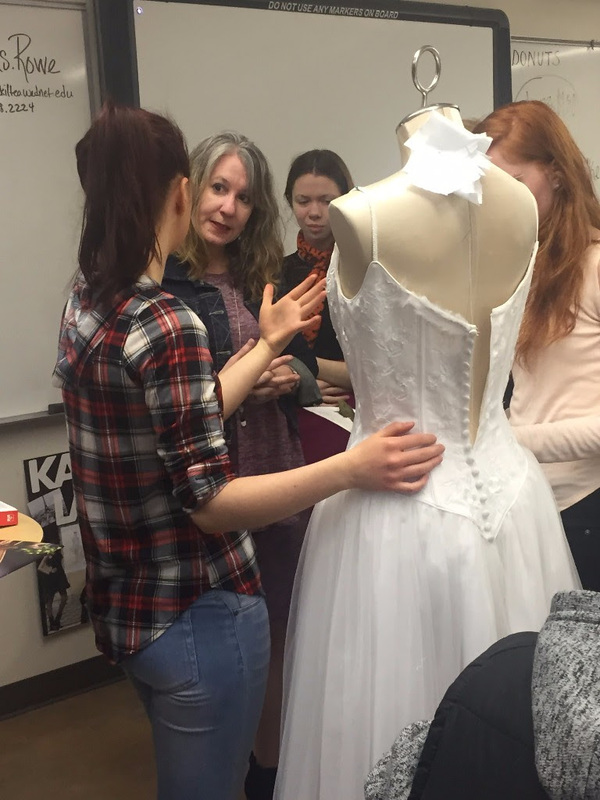 For the past three years I have had the opportunity to speak to the fashion design class at the Sno Isle Tech Skills Center in Everett, WA. I love receiving this invitation and hope to continue for many years to come. I always enjoy it so much! Sno-Isle Tech Skills Center attracts kids from all over the area and is such a valuable resource to our community. Classes include Cosmetology, Culinary Arts, Criminal Justice and Animation, to name a few. The Center provides a great opportunity for local kids to explore these fields of interest as part of their high school education. The kids are engaged and inspiring and ask great questions. Aside from a brief presentation, I have the opportunity to visit with the students to learn more about their projects. What a refreshing and rewarding experience. knowledge in your area of expertise. What you gain is so much more than what you give.